This actually happened twice during filming.... On the same day... caught in the same behind the scenes AVI. I know i shouldn't laugh, but of all the times to catch us at our worst.. while also being soo caught off guard by us your self.... After all.. 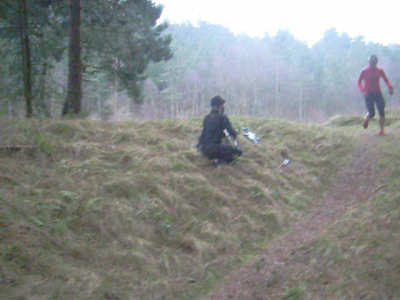 Remember this is england... You just don't see groups of guys in the woods with automatic weapons or any weapons at all... unless your a jogger in freshfields woods 2009 haha.. It always makes me laugh this.. I Often Wonder.. did that guy actually tell people about that moment?